Welcome to the Nebraska Regional Poison Center’s Education Page. The following links provide useful parent/teacher educational materials. Each link will give you specific information from pre-school age to adult. Contact the Poison Center if you are interested in providing a program for your classroom or health fair event. Email the Nebraska Regional Poison Center if you want to discuss programs available. DO NOT email us with poisoning cases. 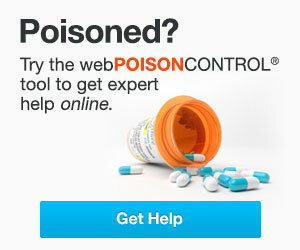 Please call 1-800-222-1222 for any poisoning or poisoning question. This email is not monitored by emergency response personnel. Do You Know What Poison Is?